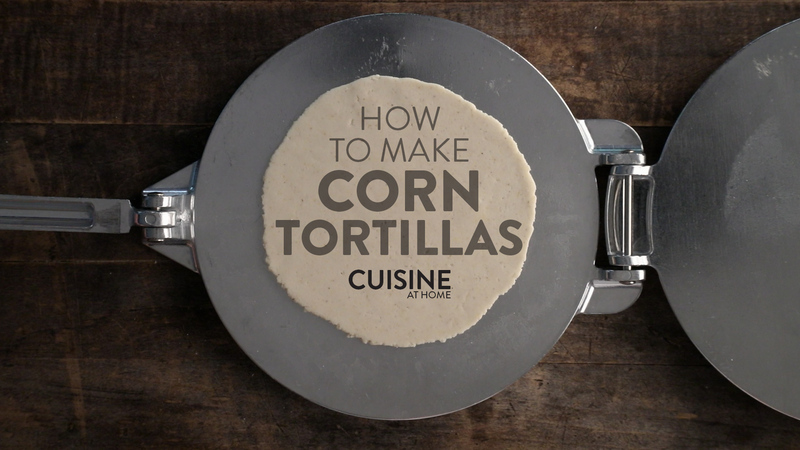 Learn how easy it is to make homemade corn tortillas! Leaps and bounds better than store-bought, these blue corn tortillas are perfection. Making homemade corn tortillas requires just three ingredients, corn flour, salt, and warm water. Yes, just three pantry ingredients is all you need to make fresh corn tortillas that are perfect for quesadillas, enchiladas, and even nachos. Get the full recipe in the September 2018 issue (No. 131) of Cuisine at Home.